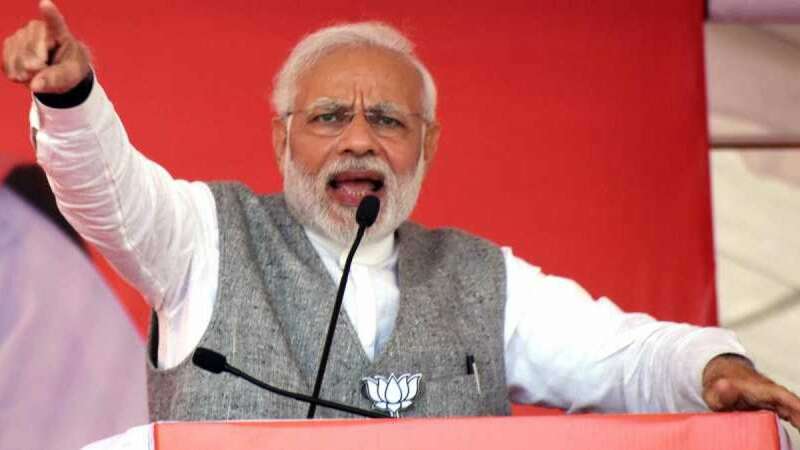 New Delhi : Speaking for the last time in Lok Sabha ahead of general elections, Prime Minister Narendra Modi took several digs at the Congress chief Rahul Gandhi while declaring a virtual report card of his party. Taking a jibe at Rahul Gandhi, who was missing from the Lok Sabha at that time, PM Modi referred to his remarks on Rafale deal, hug and a wink instance, saying these were some new things he witnessed as a first time member of Parliament. “I got to know the difference between gale milna and gale parna (hugging and piling on). I got to know about aankhon ki gustakhiyaan (mischief of the eye),” PM Modi said. The government on Wednesday tabled the much-awaited CAG report on the controversy-hit Rafale deal in the Rajya Sabha, which said that the deal signed by the Modi government to procure 36 fighter jets from France’s Dassault got 2.86 per cent cheaper price than what was negotiated during the previous UPA regime in 2007. The Prime Minister Narendra Modi also praised speaker Sumitra Mahajan and said 8 out of 17 sessions were 100 per cent productive. The overall productivity was recorded at over 85 per cent. “After three decades, a government of complete majority came into power. After Independence, a government which is not of “Congress gotra” came into power. An alliance government without Congress gotra was that of Atal ji and a government of complete majority was formed in 2014,” he said. He said credit to India's better image goes to people of India.